On investigation, I found what looked like the perfect solution! The fibre clay containers seemed to fit the bill perfectly for the steps, as I needed to find ones that were the right size to sit perfectly on the brick steps. They look absolutely at home, even before they have been filled with annuals for the summer season. These containers are all 30 cm tall and will work well, creating the waterfall effect I need to achieve. Look at last years results to see what I aim to create. Geoff Stonebanks lives in Bishopstone, near Seaford in East Sussex and spends all his time gardening and fundraising for Macmillan Cancer Support. Using his multi award-winning garden, Driftwood, he has raised over £76,000 for various charities in 7 years, £40,000 of that for Macmillan. The garden, which first opened to the public in 2009 has featured on BBC2 Gardeners’ World, Good Morning Britain and in many national and local media publications. 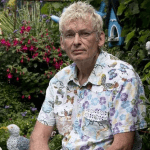 In his spare time, Geoff is also the National Garden Scheme’s Social Media & Publicity Chair as well as an Assistant County Organiser & Publicity Officer in East & Mid Sussex. 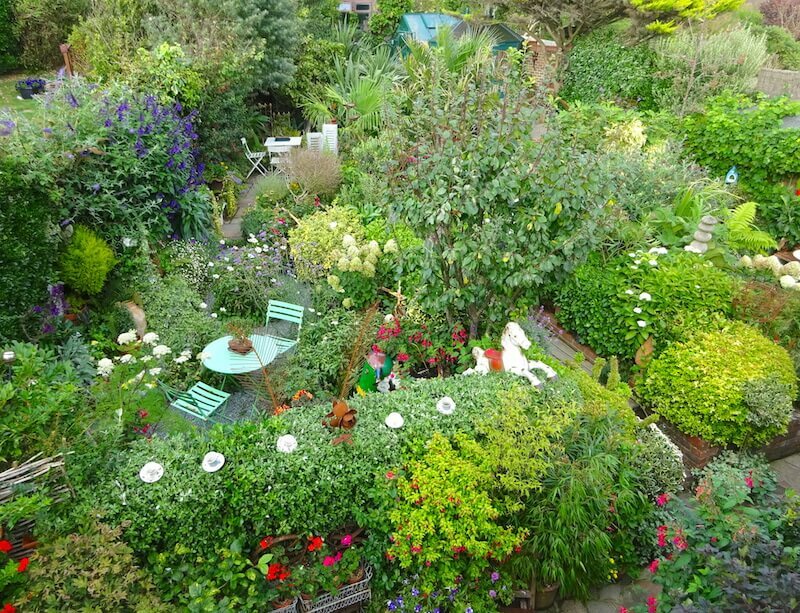 Love the aerial photo of the garden – the waterfall planter looks amazing. And you don’t look nearly 64! Gardening keeps you young . You are far too kind Mandie, thank you very much!